Unless you're a really high-roller, if you've ever flown to Las Vegas, chances are that you've waited for a taxi in a notoriously long queue at McCarran Airport, often in 100-degree plus temperatures. But help is on its way, in the form of an on-call car service, Über. I used Über for the first time this week, in Orlando, and I must say I was very impressed. I never waited longer than 5 minutes for a ride to arrive. In addition, I left my iPhone 6 in the back seat of one car, who had dropped me off at my hotel near Orlando's convention center. By the time I realized it and called the driver (from my hotel room phone), he was already back at my hotel, in the driveway with my phone in hand. If it had been a regular cab, chances are high that I would have never seen my iPhone again. I instantly became an Über fan that day. It was not only cheaper, but the cars were clean, relatively new, and the drivers were friendly. Plus, the fares were cheaper. My taxi experiences in Las Vegas have typically been in dirty, hot cars with squeaky brakes, where the driver would rather talk on his cell phone throughout the entire ride. This isn't the kind of experience that visitors should have as their first and final impressions of your city. Taxi companies and unions in Las Vegas have been putting up a legal fight, and for now, Über will keep away from the airport and the Strip. Most of us know how the city was founded by the mafia and sits on a deep foundation of cronyism, but I think we'll soon see justice and common sense prevail. 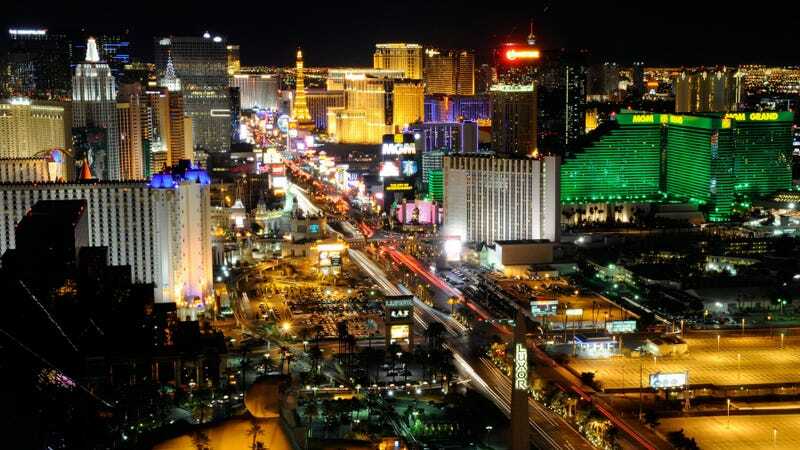 The city is largely funded by taxes poured into the economy for its tourism industry, and what's good tourism in Las Vegas will ultimately win.